Get your jazz hands ready, Erie. You're going to need 'em. Since he discovered his love of jazz at 12 years old, accomplished pianist, composer, and bandleader Matthew Shipp has been making music for decades. Shipp has been a free-jazz staple since he moved to New York City in 1984, working on upwards of 100 records as a bandleader or member, including his latest solo album I've Been to Many Places, which The New York Times called "shadowy and autumnal." On Thursday, Sept. 18, Erie will be his latest destination. 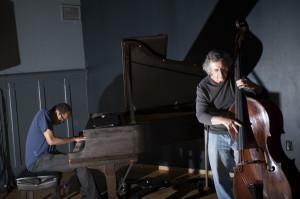 Shipp will continue his jazz journey at PACA, performing as part of The Matthew Shipp Duo along with double bassist Michael Bisio, a musician who has appeared on over 60 different albums over his own jazz career. The duo have decades of experience between them, a pair of jazz giants deftly plucking and poking at their respective instruments to create arrangements that range from free-flowing mood pieces to hammering tests of stamina, two musicians willing to test themselves for their craft.